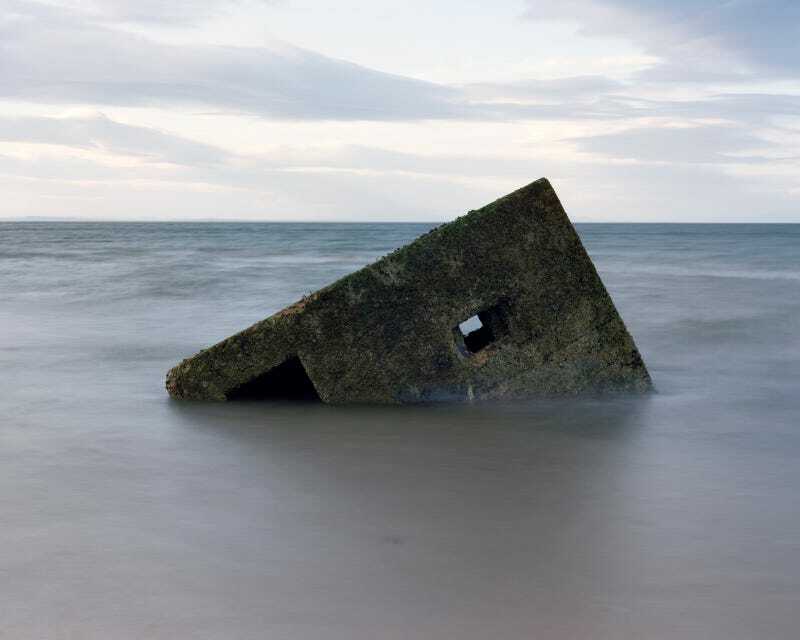 Photographer Marc Wilson has spent the past four years traversing Northern Europe to document once-mighty monuments from World War II for a photo series he calls The Last Stand. "I wanted to create a visual trigger for reflection, where the images that make up the complete work can represent the thousands of locations along the coastlines of Northern Europe," he tells Gizmodo. More than mere site markers, however, these pictures also become memorials themselves, representing the individuals who risked, and lost, their lives. "I have always been interested in the idea of the landscape and the objects we place in it as holding the stories of the past," he explained. "As the time after an event grows further, these memories, accounts, or documents are all that we're left with." Before setting out with his equipment, Wilson does extensive research and even recon trips, then plans his official visit to coincide with weather forecasts, tide tables, and time of day to get the light and mood just right. He's made it to 94 spots so far, and for Wilson, the "sheer scale of the tragedy" has become clearer with every foggy shot he takes. "I certainly don't have any 'favorites' as such, but there are certainly some where the huge loss of life weighs heavier on the mind than at others," he says. "Each individual sacrifice or act of bravery is as important as the next," but he has become particularly fascinated with the Shetland Bus and Norwegian resistance.